The responsibility assumed by anyone practicing astrology with others is a weighty one, regardless of whether he or she consciously accepts that responsibility. Because astrology is one of the ways commonly used to re-establish the proper relationship between the microcosm and the macrocosm, those practicing it are undoubtedly engaged in practicing a healing art, whether or not they succeed in encouraging true healing. 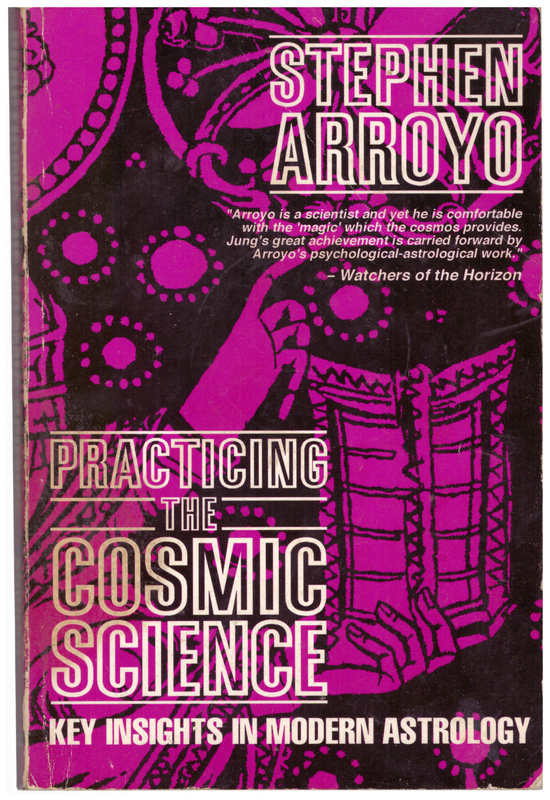 Because astrology is one of the few effective methods of rebuilding our lost connections with the cosmos, its practice is no less important, challenging, or sacred than the vocation of physician, psychologist, or priest—although admittedly the public often pretends to take the observations and advice of astrologers less seriously than that of these other practitioners. The psychologist C. G. Jung felt that psychology’s entire future as an effective healing art lay in this rebuilding of the lost connections between modern human beings and the cosmos. If this realignment between the individual and the greater whole of which each person is a part cannot be achieved, then no real healing can take place, as the quotation at the beginning of this Introduction states quite succinctly. I do not believe that astrology is the only way of encouraging this realignment, nor do I claim that astrology by itself (without other therapeutic or spiritual methods, practices, and attitudes) can achieve this cosmic harmony for the individual; but I do believe that astrology —properly used and properly understood— can be a tremendously effective harmonizing tool and a precisely accurate language of life that all people should learn for their own personal use. This unity between the individual and the cosmos was taken for granted in many ancient cultures, but today we have lost the capacity to appreciate any simple thing in a simple way. Nowadays, through study and effort and intricate analysis, we have to rebuild and rediscover the reality of that Oneness which our highly vaunted modern intellect has so violently shattered. I can only hope that many of us slowly learn to relax our taut intellects after all the study we pursue, enough to perceive once again the living reality of life’s unity. If the study of astrology can even slightly open the door to this rediscovered state of openness and oneness, it will have made a profound contribution to modern life. While speaking of astrology’s place in the spectrum of the healing arts, I might also contrast it with modern medical and psychological orthodoxy (the “establishment”) in the following way. One can easily make a case for astrology’s being a major component of the feminine (or lunar) side of the healing arts; it deals with subtlety and with qualities rather than quantities, intuition rather than rigid logic. It is indeed the complement (although unacknowledged by most practitioners of orthodox methods) of the masculine (or solar) technological type of medicine and psychology of which the establishment today is so enamored. The technological-statistical-biochemical approach to the healing arts is a comparatively recent development and in many ways represents a destructive intrusion of the solar principle (or logos) into the domain that has traditionally been formed, developed, and sustained by those of a lunar/feminine/ intuitive/caring orientation. In fact, any mention of the word “heal” or “nurture” summons the image of a lunar type of person and a caring, non-invasive sort of activity. To carry this analogy further, the solar principle always tries to concentrate authority in itself and to shine as brightly as possible by polishing its ego through amassing social power and prestige, while the lunar principle by nature tries to sustain life (even at the cost of self-sacrifice), to help as needed while staying in the background, and to avoid conflict with those in authority. One need only look at the position of medical doctors in Western society (the “solar” exponents of the technological “healing arts”) to see the aptness of this analogy and to what extent the healing arts have been made an arena of the struggle for social prestige and power, while the traditionally feminine domain of natural healing methods and traditions has been repeatedly violated. In fact, the unwarranted invasion by the solar types into the lunar domain of the healing arts is just one more example of the mentality which habitually insists upon invasive methods for the treatment of any problem. Fortunately, after the attempt by the technologically-oriented to hoard all authority in the healing arts field almost succeeded, the pendulum has finally begun to swing the other way once again. However, those who have consolidated so much social power will not abdicate! And those who are devoted to one of the more lunar healing arts will have to assert their right to practice that art and to use those methods which are rightfully theirs and to which the public deserves to have access. In short, they will have to become somewhat more “solar.” And, while engaged in this struggle, those who want a small place in the sun (i.e., who want to earn a decent living and have at least a modicum of respect for their profession) will not only have to confront the “authorities” in various ways and to educate the public more effectively, but also they will have to improve their public image and to some extent professionalize their field. In spite of the thousands of people in the English-speaking world practicing astrology of one kind or another in a professional or semi-professional way, to my knowledge there has until now been no book that thoroughly treats the professional issues involved. (Dane Rudhyar’s “The Practice of Astrology” and Dr. Bernard Rosenblum’s “The Astrologer’s Guide to Counseling” both discuss many important issues regarding the astrologer’s responsibility, counseling impact, attitudes, etc., but the practical issues of astrological work as a profession and many of the other subjects discussed herein are also important and must be acknowledged). Likewise, the whole question of astrology’s place in modern society has to be addressed before any effective professionalization or organization of astrologers (or astrological counselors) can take place. Taking on subjects such as these has led me in many directions quite spontaneously, and the observations that resulted have not always been predictable nor comforting. In fact, I seem to have the misfortune of being compelled from within to say those things that many (inside and outside the astrology field) do not want to hear. I fully realize that such statements do not make one popular. Also, since astrology is a religion to many thousands of people who therefore “believe in it” wholeheartedly and without discrimination, an indignant backlash can result when one seems to be attacking the high priests or the tenets of that religion. 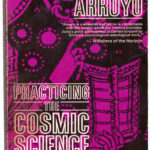 To say, for example, that there are limits to astrology’s useful applicability is absolute heresy to those who believe “How can there be any limits to my own true religion?” As stated in this book, I have no intention of devaluing anyone’s religion; those for whom astrology is a religion should probably not read this book. But for me, since astrology is not a religion but rather an art/science which is continually changing and being reformulated to suit the needs of a particular time period and culture, I have no qualms about stating precisely how I think this reformulation should take place. In the last analysis, to rebuild our lost connections with the cosmos, we have to learn how to understand the cosmic language. We have to learn how to listen to the celestial music; this is a healing experience! Even to approach such an attunement is a great attainment, and a rare one. So, for ordinary mortals, this cosmic connection is only slowly perceived over time. While orthodox medicine, therapy, and psychology generally have no basis in philosophy or cosmic law, astrology is based on unchanging principles. The study of astrology as a tool for self-development and self-knowledge is based not on “new discoveries” but on a deeper penetration into those few ancient principles that are already known. Over time, we come closer to understanding and appreciating the ancient truths, perhaps through reformulating them or redefining them, but never replacing them with the constantly changing fads of every era.